The charming city of Seville is popular with pilgrims and art-lovers alike, but it can also be a great destination for a romantic weekend escape. Whereas Barcelona and Paris are Europe’s well known romantic cities, they are often too crowded to ever offer the intimacy that most couples seek for. 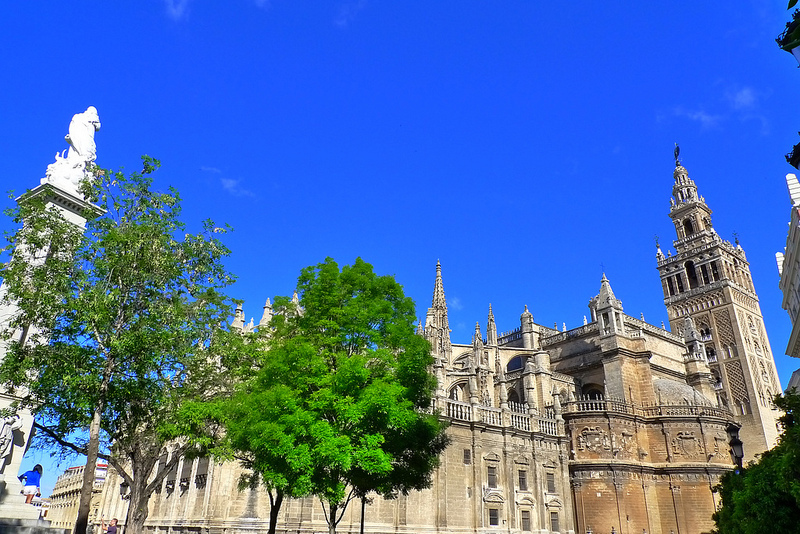 Which is not always the case with Seville. 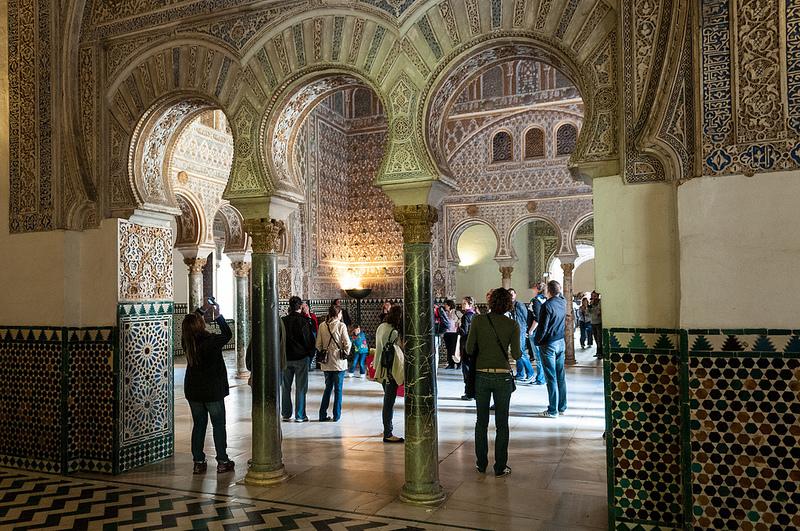 The Alcazar of Seville is not only a major attraction in the city, but also one of the finest example of mudejar architecture. Once you enter the gate of this medieval palace you will marvel at the beauty of its rooms, interior courts, gardens and fountains, but also at the creativity of its architects. The centerpiece of the palace are the underground baths which use rain water to function. 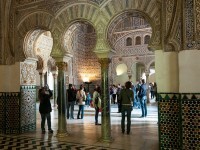 The palace has also witnessed numerous love stories, and the guides will probably tell you some of them. If you are looking for a nice place to relax or have a walk, Plaza de Espania might be the perfect choice for you. 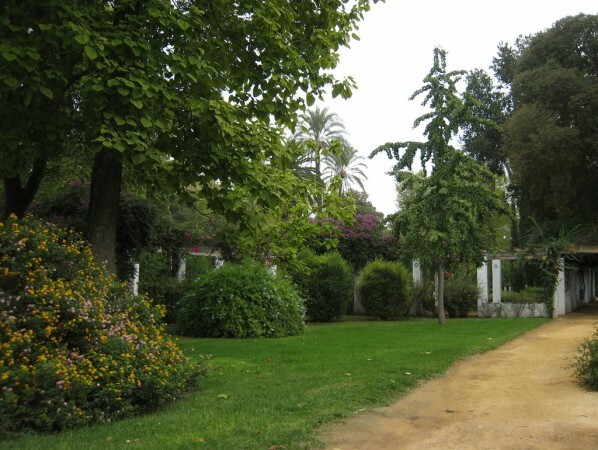 This elegant square in the middle of Parc de Maria Loiusa is by far one of the most romantic spots in Seville, boasting with life and history. In the center of the square you will find a beautiful fountain, as well as a row of custom-made balconies offering panoramic views of the surrounding square and park. A romantic day is not complete without a romantic dinner. And few places can offer such a complete and satisfying experience as Enrique Bercerra restaurant. Located in a historic mansion, the restaurant offers a varied menu, with lots of local specialties. And, most importantly, it is one of the only restaurants to offer private dining rooms – this way, you’ll get all the intimacy you need. Just remember to make a reservation, the the place is quite popular. For a romantic walk along the narrow streets of old Seville, few places are more suitable than the Santa Cruz neighborhood. While its elegant houses and secret gardens can stimulate one’s imagination, the coquette shops and cafes will offer you a perfect and comfortable refuge, far away from the maddening crowd.